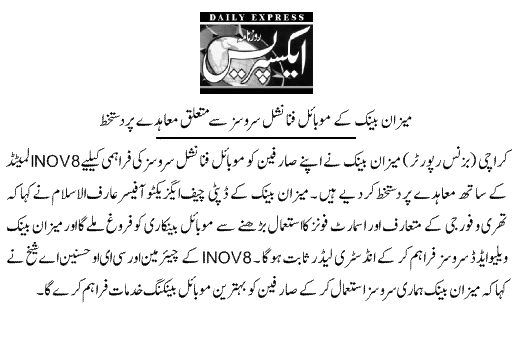 Islamabad, June 22 2014: BOP, Zong and Inov8 signed an MOU to announce their partnership for digitizing government flows via the branchless channel. Branchless Banking is the provision of financial services through neighborhood retail shops whereby the financial services are offered to the unbanked population at their doorsteps. This is a first of its kind arrangement wherein service providers with existing market experience are coming together to provide the services which are aimed at poverty alleviation and financial inclusion of the under privileged masses. ISLAMABAD: The Bank of Punjab, Zong and Inov8 signed an MOU to announce their partnership for digitizing government flows via the branchless channel. Branchless banking is the provision of financial services through neighbourhood retail shops whereby the financial services are offered to the unbanked population at their doorsteps. This is a first of its kind arrangement wherein service providers with existing market experience are coming together to provide the services which are aimed at poverty alleviation and financial inclusion of the under privileged masses. There are two areas to focus for successful implementation: i) The Technology ii) The Agent Network (distribution side). BoP has entered into an MoU with Zong and Inov8 as both organizations have local market presence, expertise and existing experience which they aim to bring together to build synergies for best service offering. Sunday, June 22, 2014 – Karachi—BOP, Zong and Inov8 signed an MOU to announce their partnership for digitizing government flows via the branchless channel. Branchless Banking is the provision of financial services through neighborhood retail shops whereby the financial services are offered to the unbanked population at their doorsteps. This is a first of its kind arrangement wherein service providers with existing market experience are coming together to provide the services which are aimed at poverty alleviation and financial inclusion of the under privileged masses. Islamabad: BOP, Zong and Inov8 signed an MOU to announce their partnership for digitizing government flows via the branchless channel. 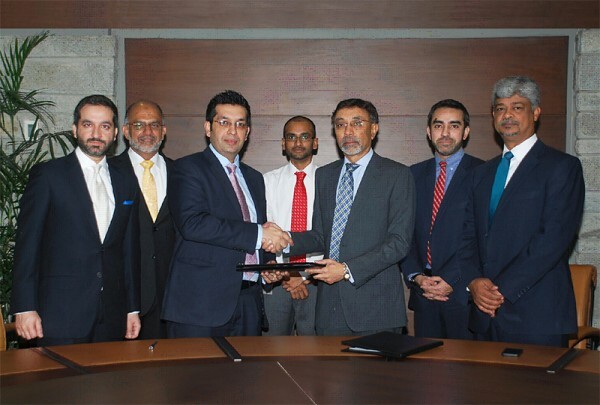 Karachi: May 07, 2014: Pakistan’s first and largest Islamic bank, Meezan Bank (MBL) and one of the region’s fastest growing mobile financial services (MFS) technology company, Inov8 Limited (i8) have entered into an agreement for implementation of a next generation suite of MFS services. Meezan Bank will provide a unique set of multi-channel mobile banking services and smart phone applications with social media integration which is a first in Pakistan, to its fast growing branch and customer base. KARACHI: Meezan Bank (MBL) and mobile financial services (MFS) technology company Inov8 Limited (i8) have entered into an agreement to implement a next generation suite of MFS services. Meezan Bank will provide a set of multi-channel mobile banking services and smartphone applications with social media integration to its branch and customer base. Pakistan’s first and largest Islamic bank, Meezan Bank (MBL) and one of the region’s fastest growing mobile financial services (MFS) technology company, Inov8 Limited (i8) have entered into an agreement for implementation of a next generation suite of MFS services. Friday, May 09, 2014 – Karachi—Meezan bank plans to provide multi-chanel mobile banking services and smart phone applications with social media integration. In this respect, Meezan Bank (MBL) and one of the region’s fastest growing mobile financial services (MFS) technology company, Inov8 Limited (i8) have entered into an agreement for implementation of a next generation suite of MFS services.